2360 Bacon Road Jamestown, NY. 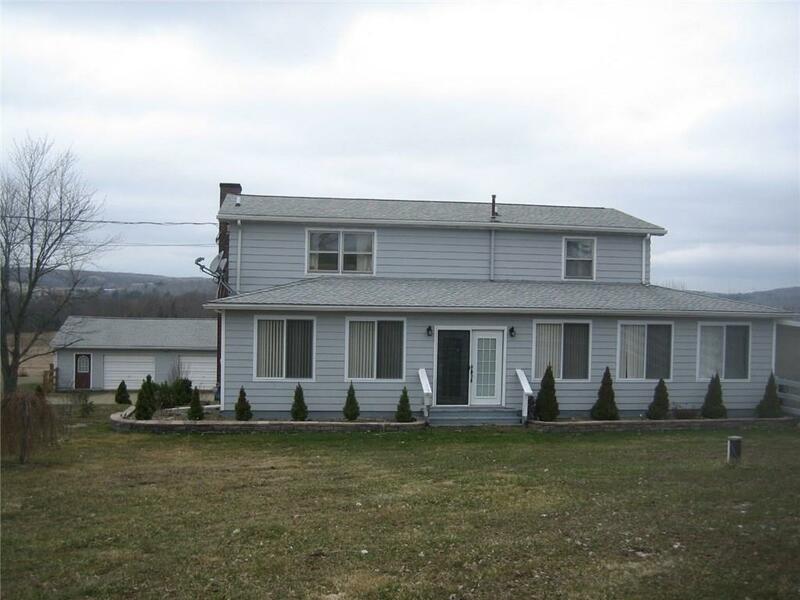 | MLS# R1184818 | Chautauqua Lake Real Estate. Specializing Chautauqua Lake helping Buyers and Sellers since 1985. An appealing Country jewel. Vinyl-sided 2-story standing on 1. 6 acres. Side drive. French doors, fireplace warmth. Study, unobtrusive recessed lighting, ample storage space, 2 baths, A large modern kitchen with lots of counter space and built in appliances, central heat/air, Gas fireplace, ceiling fans. Walk-out basement. Large view deck, big roomy porch, multi-gable roofline, mature foliage, low-chore yardscape, fencing, well water, horses OK. ALSO washer/dryer included over sized two-car garage *easy commute *heat-saving thermal glass *quiet street. Immediately available. Directions To Property: Head South On Kiantone Rd. At The Top Of The Hill Turn Right Onto Bacon Rd. Home Is On The Right. Nearest Cross Street: Kiantone Rd.